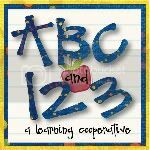 I'm over at ABCand123learning.com today. Come on over. I'm writing about Music and Movement in France for kids. Party in the Playroom: PLAYHOUSE!